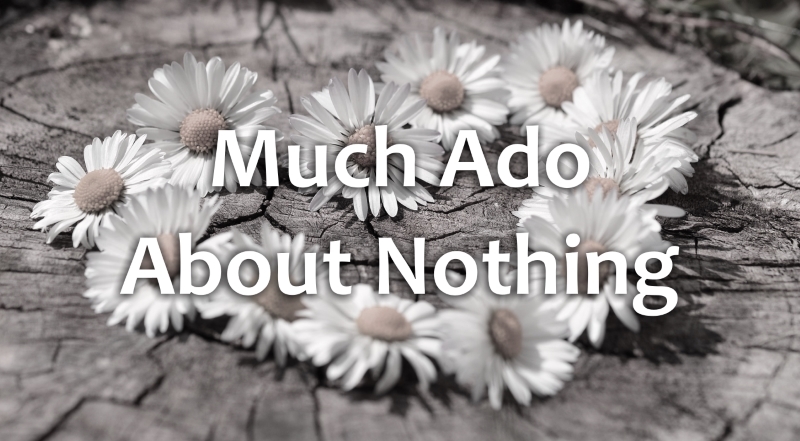 Elizabeth Dunk is back on the blog, this time talking about adaptations of Shakespeare's Much Ado About Nothing! I fell in love with Shakespeare’s Much Ado About Nothing the first time I saw the Kenneth Branagh helmed film. I think I got it because it had Keanu Reeves in it and I was deep into my Keanu crush at the time, but it has become one of my all-time favourite films. It’s one of the films I look to when I’m feeling down, or I need a laugh or I want something celebratory to suit my mood. 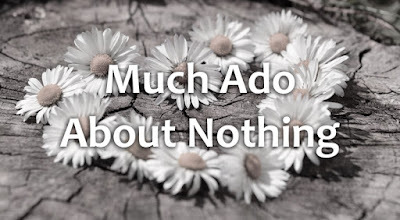 So when I decided to write a series of contemporary romances based on classic plays, the first one I decided on was Much Ado About Nothing. The fact I had to watch the film again as part of my planning was glorious. This was in 2011 and at the same time, it was announced that Joss Whedon was doing his own version of Much Ado About Nothing. The news it was going to have Nathan Fillion and Sean Maher in it made my heart flutter (I adore Firefly). I hung out for that film. I wanted to see what Joss brought to the story, what little touches he would make that would win me over. But because I love the Kenneth Branagh version so much, I couldn’t help but compare the two and wonder – will Kenneth remain my favourite, or will Joss take over? PLOT – Okay, so Shakespeare was in charge of this bit. But what intrigued me was that Joss actually wrote some extra scenes and lines in order to make it better fit with the modernisation and he did a brilliant job of it. At the same time, there were elements he didn’t change which in the modernisation didn’t make it quite work – like all the talk of Hero’s modesty, and the war and they being soldiers. Kenneth’s version is basically set in the time of the story and is word for word the same. I’m going to declare this a draw. SETTING – Joss’s was famously filmed in his own house. It’s a stunning place, but you can’t forget (at least I couldn’t) that it was Joss’s house and I kept checking it out. The house leant itself beautifully to the story however and was a perfect location. Branagh filmed his version in an Italian villa of roughly the same age as the story. It’s an absolutely stunning setting, adding to the brilliance of the entire film. I’m going to give the point to Branagh. CASTING – Both did some fascinating things with casting. The most interesting choice for Branagh was casting Denzel Washington as Don Pedro, the only black man in the cast. It takes a while to get over this, particularly with Keanu Reeves cast as his half-brother – I know that technically it’s possible that a white man and a black man could be half-brothers, but it’s unusual enough to be something you note when watching. Denzel is a brilliant Don Pedro, and being a brilliant actor has a real knack for Shakespeare, but every time I watch the film I still have to force myself into a sense of disbelief where that casting makes sense. That said, I do think he was a better Don Pedro than Reed Diamond, who was in the Whedon film. Whedon decided to turn the character of Conrad female, and we ended up with Riki Lindholme in the part. This enabled him to turn her into Don John’s lover, not just his follower, and it was fantastic. It added this whole level of sensuality to Don John that fits perfectly with him. I didn’t like Alexis Denisof as Benedick. I felt he was too straight faced and serious. Kenneth Branagh is a much better Benedick. However, I’m declaring the casting of Beatrice a tie. As much as I adore Emma Thompson, Amy Acker was brilliant in Joss’s movie. I prefer Robert Sean Leonard as Claudio (Branagh) than Fran Kranz (Whedon). It’s a tie between Nathan Fillion (Whedon) and Michael Keaton (Branagh) for the role of Dogsberry and between Kate Beckinsale (Branagh) and Jillian Morgese (Whedon) as Hero. As much as I adore Keanu (and thought he didn’t do a bad job in Branagh’s movie), Sean Maher (Whedon) wins as Don John. Not only did he get a more interesting character to portray thanks to Whedon’s casting of Conrad, but he embued everything with such a sense of evil. Keanu was more sullen than evil. Branagh wins thanks to himself and Robert Sean Leonard’s performances. DIRECTION – When you’re talking a Joss Whedon film, the direction is as important as any other part of the film. He did a brilliant job – he made the decision to act on the hint in the play that Beatrice and Benedick had a past relationship (something I did in my book) and it adds an extra layer to their byplay when they meet. The direction of the two scenes where Benedick and Beatrice are told the other loves them was beautiful. There were gorgeous touches, catching people’s reactions, framing some shots, which were fantastic. Much Ado About Nothing was the fifth film Branagh had directed (his second Shakespeare film) and his knowledge of and love for Shakespeare is really clear. He hits all the beats, and the portrayals of all the characters are really well done. I personally think the scene with Hero’s funeral goes on for too long, but it’s the only problem in the film for me. There’s a joy in this film that just shines through. Whedon wins (just) for direction. OVERALL – Well, this is judged by just one question – has the Whedon film overtaken the Branagh as my favourite version of the film? Answer – no. Whedon’s film is beautiful shot and composed. There are elements of it I love. The scene with Benedick trying to show off to Beatrice by exercising while they are talking is laugh out loud funny. The clever idea of boosting the sexuality of really speaks to me. But in the end, for me, he didn’t go far enough in making it a modern version of the story. Branagh’s film is safer, because it’s set in the time of the story, but that means he’s been able to focus on the joy contained in the story. Watching Branagh’s movie makes me smile. Every time. So in a surprise (for me at least) – Kenneth Branagh beats Joss Whedon. Much Ado About Love by Elizabeth Dunk is a contemporary romance, released by Escape Publishing on January 1, 2016.